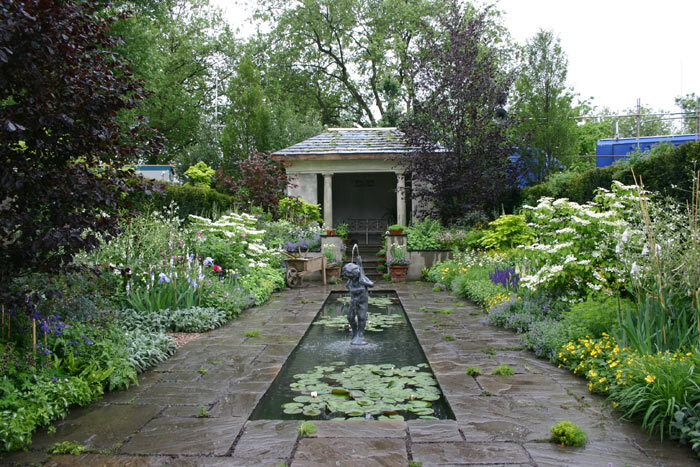 The Savills garden is private and enclosed. The entrance is framed by trees that lead onto a polished concrete pathway. 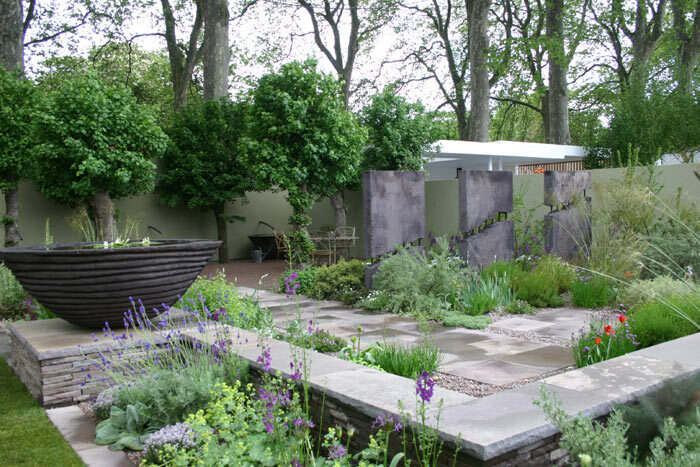 The geometry of the path then meanders through trees and perennial planting, consisting of grasses and foliage plants. 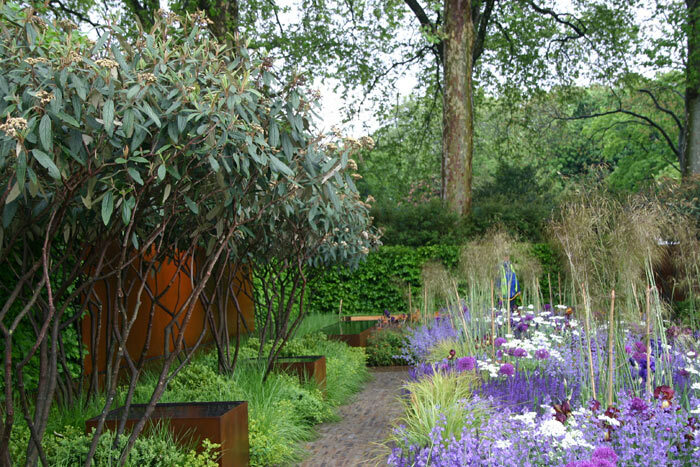 The Saga Insurance Garden celebrates the migration of plants around the world, in particular focussing on hardy and half-hardy herbs that can be grown in the UK and how they might be used in a contemporary space. 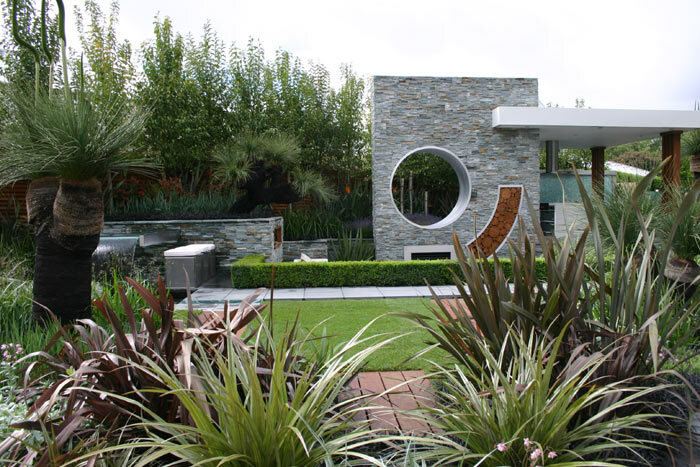 This garden is a tailored space that has been designed to give the complete Australian experience. The barbeque space is taken to a new level with a fully functional outdoor kitchen, a relaxed lounge space and a kids play area. 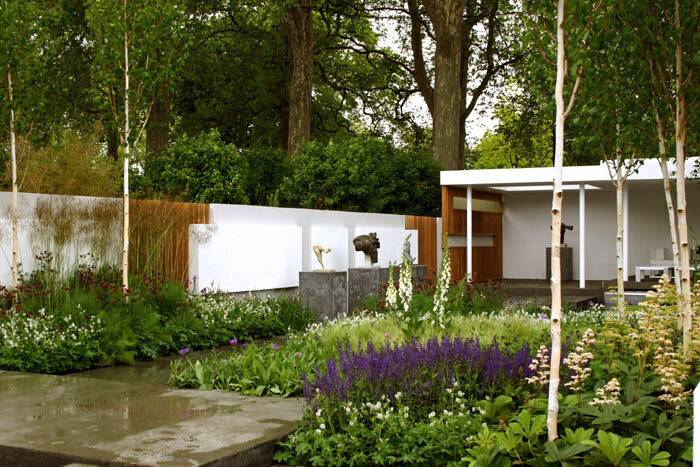 The Telegraph Garden is a study in contrast between simplicity and complexity. 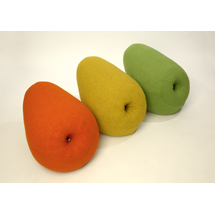 It contrasts a minimal asymmetric plan with materials, surfaces and planting of rich patina and texture. 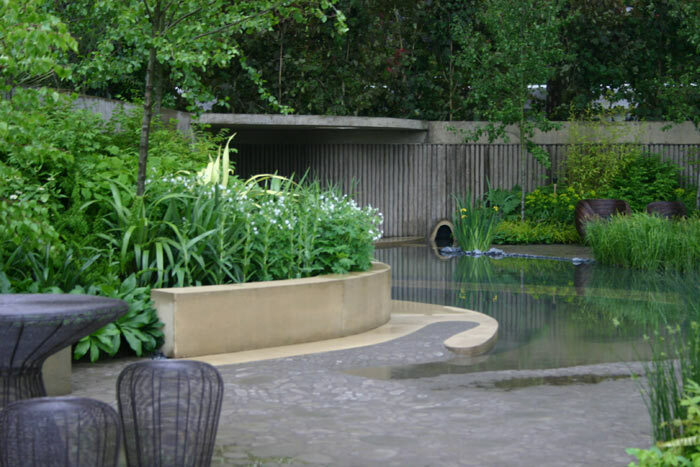 This garden is a contemporary space incorporating hard landscaping and textural planting. The garden is bordered on two sides by high walls, intended to be monolithic and create privacy as well as a visual anchor. The Chris Beardshaw Wormcast Garden recreates in all its original glory a quintessentially English garden.